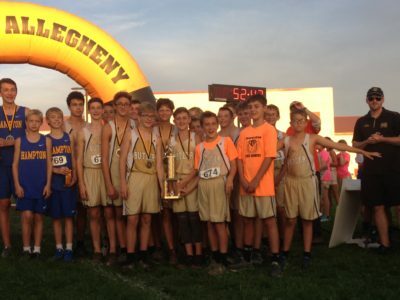 The Butler Junior High School Boys Cross Country team finished second at the North Allegheny Invitational Tuesday. Joel McCloskey and Drew Griffith were the top boys finishers. The Butler Girls finished sixth, led by Ava Brewster. The teams brought home five medals in addition to the runner-up trophy. The Seneca Valley golfers qualified for the WPIAL 3A Team championship after finishing third in the semifinals yesterday at Buffalo Golf Club. Fox Chapel won the event. The championship round will be held tomorrow at Cedarbrook. The post High School Sports from Tuesday appeared first on ButlerRadio.com – Butler, PA .